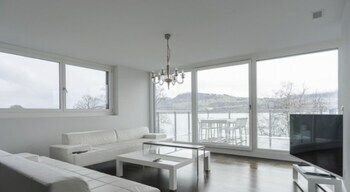 With a stay at Das schönste Penthouse am Zürichsee in Stafa, you'll be within a 15-minute drive of Rapperswil Castle and Rapperswil-Jona Municipal Museum. Featured amenities include complimentary wired Internet access and luggage storage. A roundtrip airport shuttle is complimentary (available 24 hours).